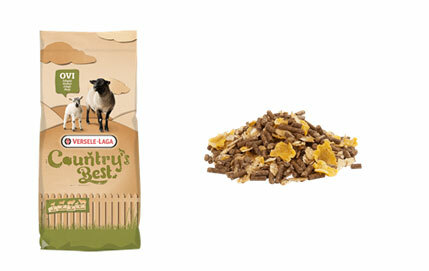 OVIMASH 3 muesli is a complementary feed for sheep and lambs from the age of 6 weeks and also for ewes during gestation. In addition to pellets, this mixture also contains maize and barley flakes for a smooth ingestion, and it is ideal for the care of your animals. Most sheep are sensitive to copper; the accumulation of copper can even result in death. 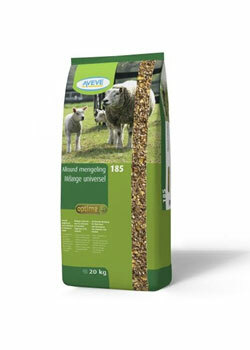 For that reason our OVI-sheep feeds are copper-free. 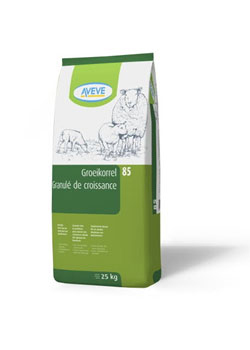 OVI ALLROUND 3 pellet is a complementary feed for sheep and lambs from the age of 6 weeks and also for ewes during gestation. This pellet is ideal for the maintenance of your sheep and mixed herds and contains all the nutrients for optimal health. 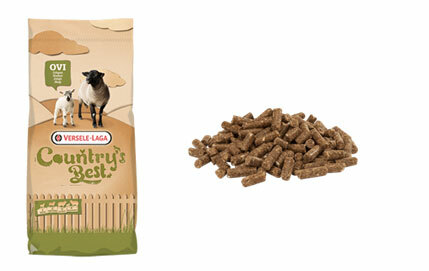 The small pellet can be easily absorbed by lambs. 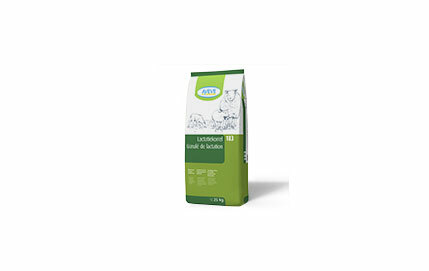 OVIPEL 4 pellet is a complementary pellet for nursing ewes from the age of 6 weeks and also for ewes during lactation. 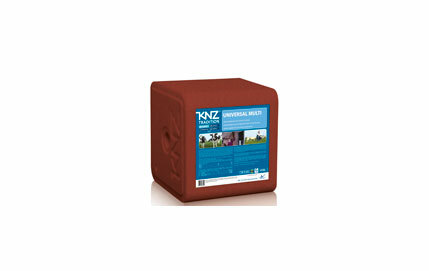 The increased protein content helps to ensure milk yield is optimally stimulated in nursing ewes. 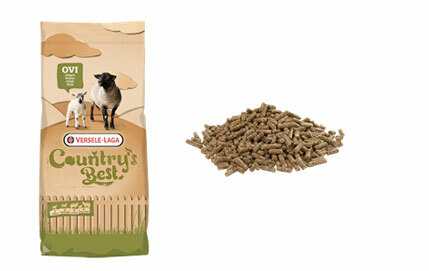 This means that lambs receive all the essential nutrients they need for a balanced growth. Thanks to its high content in glucogenic energy, this pellet is given to ewes to prevent ketosis and promotes maximum milk production. OVIMILK 1 is a milk replacer for lambs from the second day (in addition to colostrum) until weaning (6 - 7 weeks). This soured milk replacer feed in powder form contains 50% skimmed milk powder. In case of litters of more than two lambs, it is recommended to raise the additional lambs at the lamb bar with OVIMILK 1, especially with ewes with less milk production or if the lambs are rather unequal in weight. 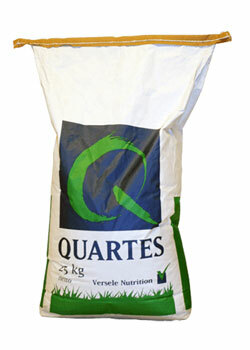 OVIGRAN 2 pellet is a complementary feed for both breeding and meat lambs from the age of 3 weeks to 1 year old. 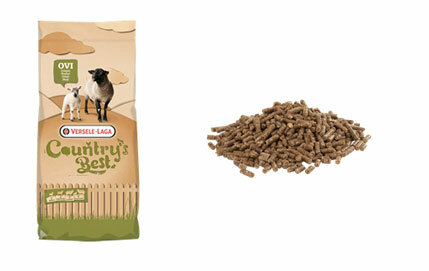 This high-energy pellet can be provided to lambs from an age of three weeks until one year. The high energy content ensures that lambs grow quickly and makes them ready for slaughter at a young age. This mix is also ideal for retired ewes, (older) slaughter sheep or rams at pasture to fatten them up in a short period of time ready for slaughter. 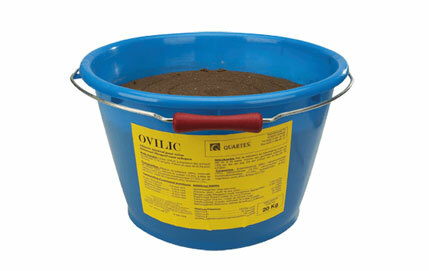 OVILIC is a mineral and vitamin supplement for sheep of all ages. 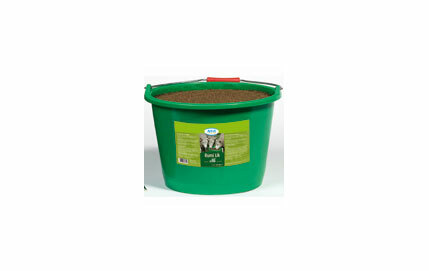 This mineral bucket which perfectly meets the daily vitamins, minerals and trace elements requirements of both ewes and lambs. This feed does not contain any added copper. The added herbs and plant extracts (garlic, thyme, Corsican moss, male fern, goosefoot and wormseed) help to control the risk of parasites.